EC 27001:2013) to implement Information Security Management System (ISMS) for its ICT Department in order to provide secure ICT infrastructure and solutions to the organization. ISO/IEC 27001:2013 is a unique standard for information security encompassing all requirements for information security including Confidentiality, Integrity and Availability (CIA). 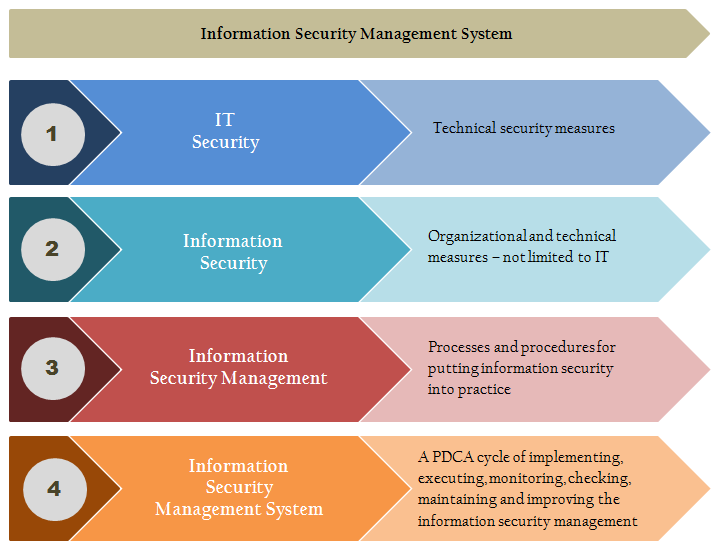 It provides a comprehensive set of controls to address all issues related to information security. ISO/IEC 27001:2013 aims to provide a common basis for developing organizational security standards, effective security management practice and provide confidence in inter-organizational and intra- organizational information exchange.